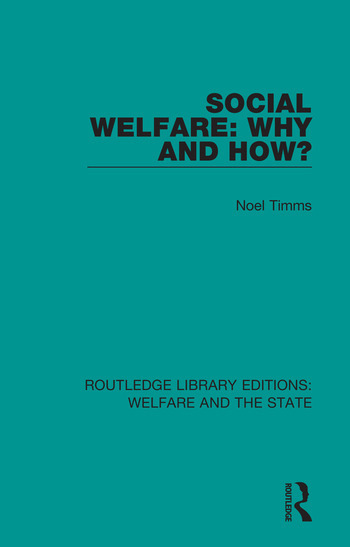 Originally published in 1980, Social Welfare: Why and How? is a collection of papers contributing to the subject of welfare philosophy, and to philosophising about and doing welfare. It advances emerging arguments concerning the growth grounds and uses of social welfare. The book is divided into two main sections, the first looks at the growth and the grounds of social welfare and the second looks at the practice of social welfare. The collection of papers provides a multi-disciplinary look at the subject through the lens of philosophy, social policy, social work and economics.